Hollybeary Creations : New Release Blog Hop!!! 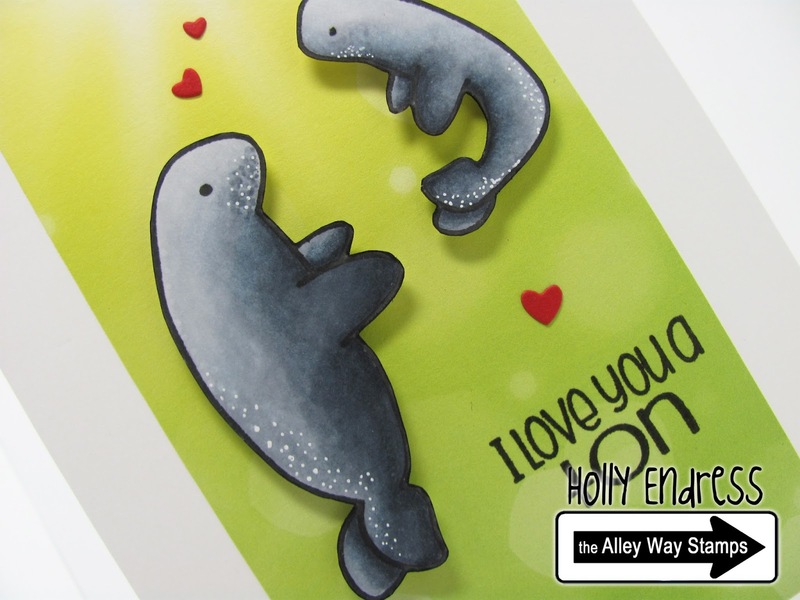 It's time for the New Release Blog Hop with the Alley Way Stamps!! Are you ready for he fun new sets coming May 1st? Today I'm using an image from the new sets Little Fellas & All Washed Up! I stamped the Manatees onto some white card stock and colored them in with Copics and then I fussy cut them out. I created a white card base and added a layer of Bo- Bunny Lemonade Stand patter paper. I stamped the sentiment onto the pattern paper with VersaFine black ink. I die cut some red hearts from the Mama Elephant confetti die and adhered them with glue. The Manatees are adhered with dimensionlas. 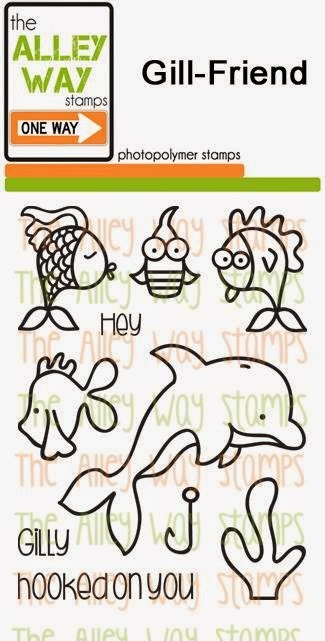 Be sure to head over to the Alley Way Stamps blog for your chance to WIN all three of the new sets.. Today only!! And then Hop along with us for some great inspiration using May's new Release. And this super adorable Mini Set, Gill-Friend, is FREE when you spend $40.00 or more during the month of May 2015. 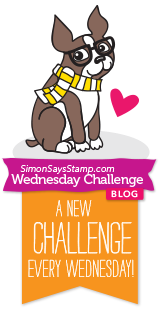 I'm also entering this into the Wednesday Challenge at Simon Says Stamp.. This week it's anything goes! The challenge is open until Wednesday! Cute card. Love the manatees. Love your card- super adorable! How sweet--I like the white dots you added. A sweet card. As big as they are they would still be able to "love". Awww these are so cute, fab colouring too! Those manatees are AWESOME on here!!! Great work!!! Very sweet and adorable to see these two! This is an amazing card! Thanks for sharing! Oh, my, love the manatees! I can't decide which of the little creatures I like most! Guess I have to have them all! Great card!! Oh this is so cute and I love the background colors.